We can perform any auto body work from minor dents to major collision repairs. 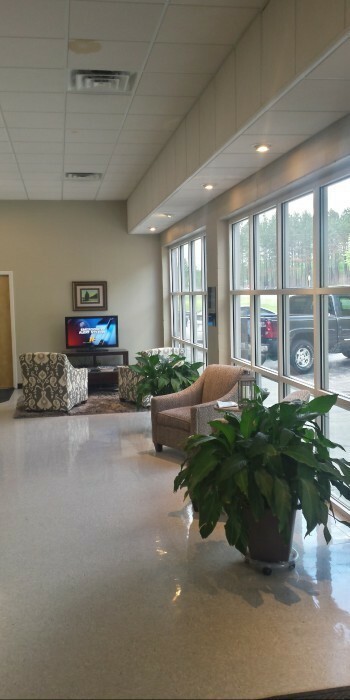 We service Roxboro as well as the surrounding communities in Person County and are conveniently located outside Roxboro, NC. Call anytime for a free estimate for all of our services! We are open Monday to Friday, 7:30 am to 5:30 pm for your convenience. Check out our testimonials from local residents! Customer service is our priority and we do everything we can to service the needs of our Person County community. If you're looking for quality automotive services, then you're in the right place! Bowes Collision Center offers a wide variety of maintenance and repair services aimed at getting you and your vehicle safely back on the road. We'll troubleshoot your vehicle issues promptly and ensure that all repairs and servicing are done to the highest standards with quality materials and products. At Bowes Collision Center, we have a team of auto collision service experts on hand. All of our mechanics are ASE certified to tackle any auto body repair task using new, aftermarket, and OEM parts depending on your repair needs and budget. In addition to collision and auto body repair, we also offer auto body paint with precision color matching and dent repairs. Bowes Collision Center has towing and rental car service available to help you go about your day with the least amount of stress. After each repair or maintenance job is complete, Bowes Collision Center takes every vehicle through the car wash so you have a high functioning and beautiful vehicle to take on the open road! Our number one priority is customer satisfaction - just look at our testimonials! Call today to make an appointment or for a free estimate for any of our services! We are open Monday through Friday from 7:30 AM to 5:30 PM. If you're looking for quality automotive services, then you're in the right place! Bowes Collision Center offers a wide variety of maintenance and repair services aimed at getting you and your vehicle safely back on the road. We'll troubleshoot your vehicle issues promptly and ensure that all repairs and servicing are done to the highest standards with quality materials and products. Copyright ©2019 Bowes Collision Center. All Rights Reserved.